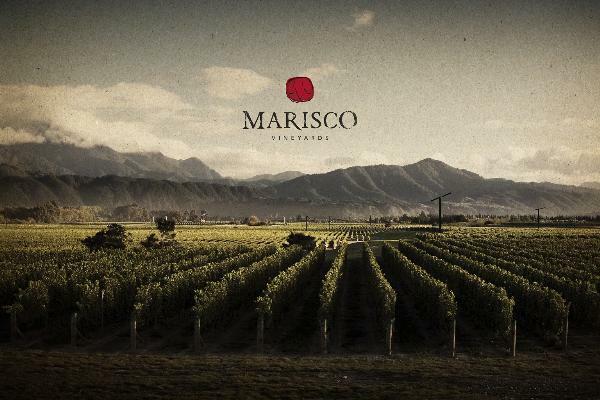 Marisco was selected as the New Zealand winery of the year in 2011 by the IWSC in London. The Marris family are descendants of William de Marisco (approximately 1100 AD), who was said to be one of the 35 illegitimate children of King Henry the First. They are pioneers in the wine industry of the Marlborough wine region. Their vineyard is located on the banks of the Waihopai River and on the Southern side of the Wairau Valley. The Waihopai River runs the length of their 268 ha vineyard and not only provides a picturesque boundary but its ancient river shingles are an essential part of the vineyard's terroir. This location consistently enjoys warmer daytime temperatures and lower rainfall than areas to the North. These daytime temperatures, followed by cool nights, encourage intense flavor development which is the hallmark of Marlborough wine. In February 2009 they broke ground on a new 6,000 ton state of the art winery, and the 2010 vintage was the first crush in the new facility. Marisco produces three brands, Fernlands, The Ned and The Kings Series. Fernlands is the newest of the wines produced by Marisco. The fruit is all estate grown. The Ned was launched in 2006 and is named after one of the tallest, most rugged peaks to the southeast of their vineyard. In October 2009 they launched The Kings Series range, a celebration of their family heritage dating back to the 12th Century. Each wine in the range tells a story about their ancestors, the de Mariscos, and their tempestuous relationship with the English monarchy. Decanter 89"A crowd-pleasing Pinot Noir that delivers smoky, toasty oak on the nose balanced by red cherry fruits. It has a light body and smooth texture and the aromas are mirrored on the palate with wood influence adding structure and depth. One for roast ham, white meats or even on its own." Decanter 92"A bone-dry wine with ripe tropical fruit flavors. Quite pungent, showing classic-style citrus, red apple and passion fruit, even a subtle lemongrass undertone. lt's a well-made, balanced wine. Highly Recommended"